Due to stringent regulations under German law about the restricted sale of Nazi-related content and symbols, Bethesda is geo-locking the international version of Wolfenstein: The New Order. 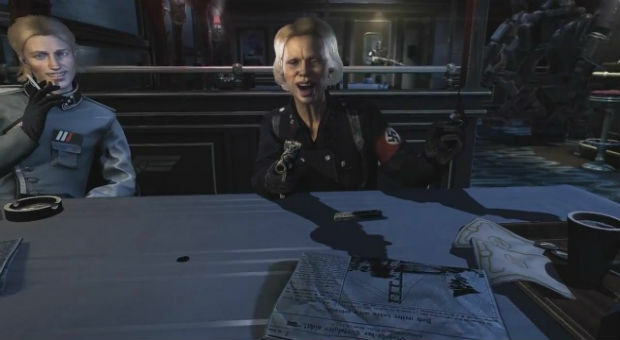 The New Order's copious usage of Nazi imagery have rendered it "strictly forbidden" under German law, with the sale, import, export, or distribution of the game punishable by a hefty fine or even three years in prison, for both physical and digital editions of the game. As a result, the PC and digital versions will be geo-locked so that they can't be activated within Germany. Out of compliance with said regulations and respect for German fans in regard to the Nazi symbols, an adapted version will be available for sale in Austria via select retailers, though everything will still be intact beyond that of the Nazi content. The international version of The New Order will still be available for the rest of the world to play when it releases May 20.